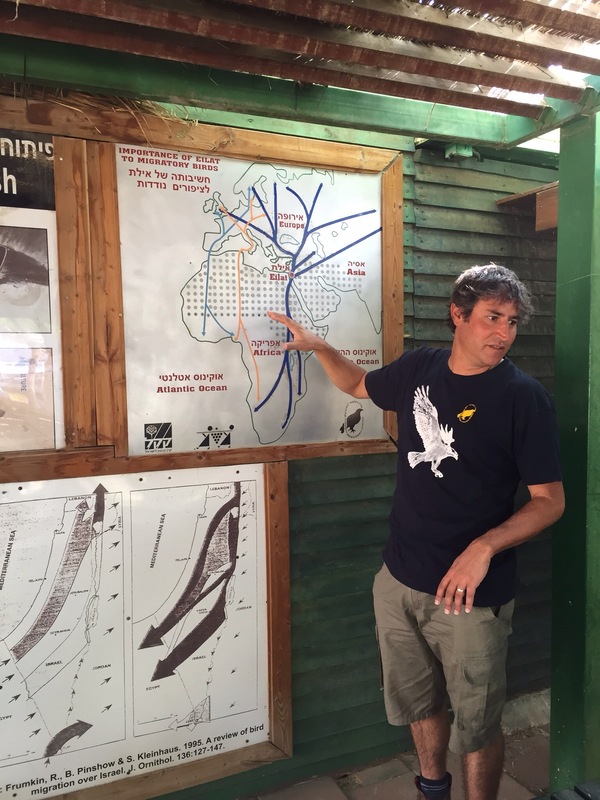 There is a real gem of a sanctuary for birds in the south of Israel. 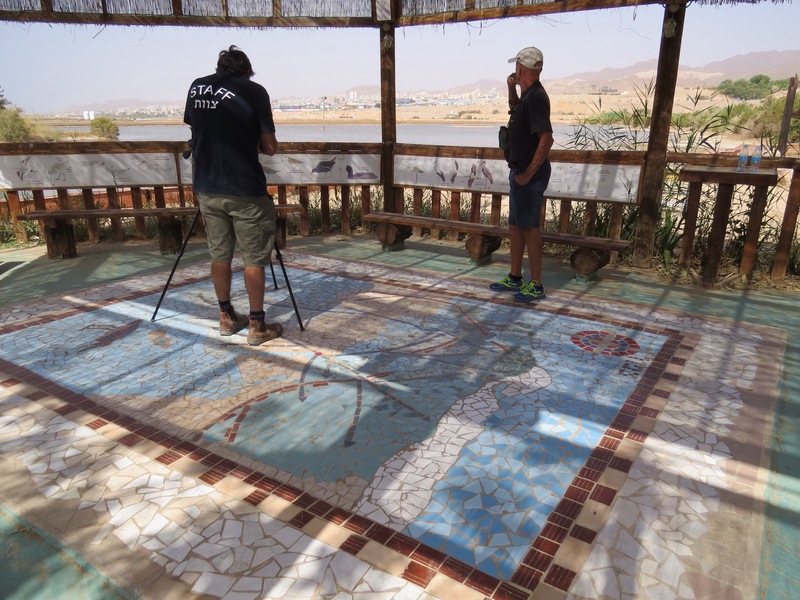 The International Birding and Research Center Eilat (IBRCE) is a vital haven for literally millions of migratory birds crossing twice annually between Africa and Europe/Asia. How can I convey what an amazing visit I had there? Where to begin. . . ? ? . . . A good place to begin might be the Little Green Bee-Eaters. They were one of the first birds our host pointed out, and a bird I had never seen before in my life. What a delight to see them in ‘person’ for the first time ever! When we arrived, the Bee-Eaters were busily flying back and forth from fence to shrub, to the nesting holes they had excavated in the nearby dirt mound, dashing off to catch an insect, then flitting away to feed the little ones, then back for more action. 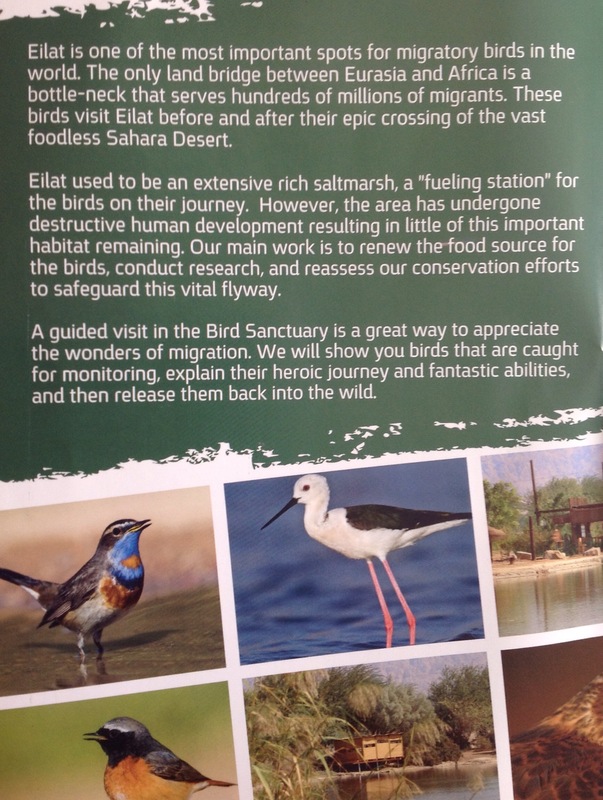 The International Birding and Research Center Eilat is an incredible place, and the pages above from their brochure describe their work best. 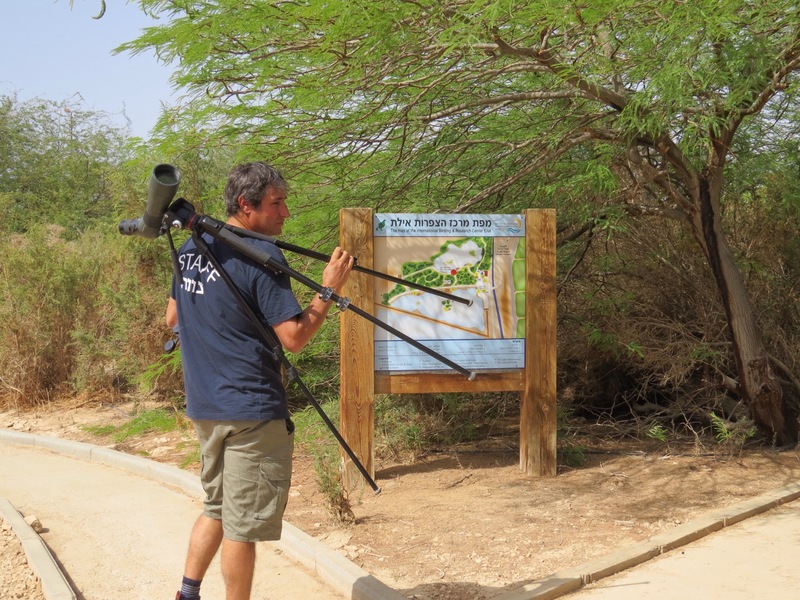 Located just outside of Eilat, Israel, right near the Jordanian border, this sanctuary is an absolute MUST for birders to visit. Having met the IBRCE Director, Noam Weiss, on his recent visit to Florida (see my post from May 17), we knew just who to call when we arrived in Eilat this week. We were honored and privileged that Noam shared so much of his time and expertise with us the day before yesterday. He is unquestionably one of the most knowledgable and passionate birders I’ve ever had the pleasure to meet!! 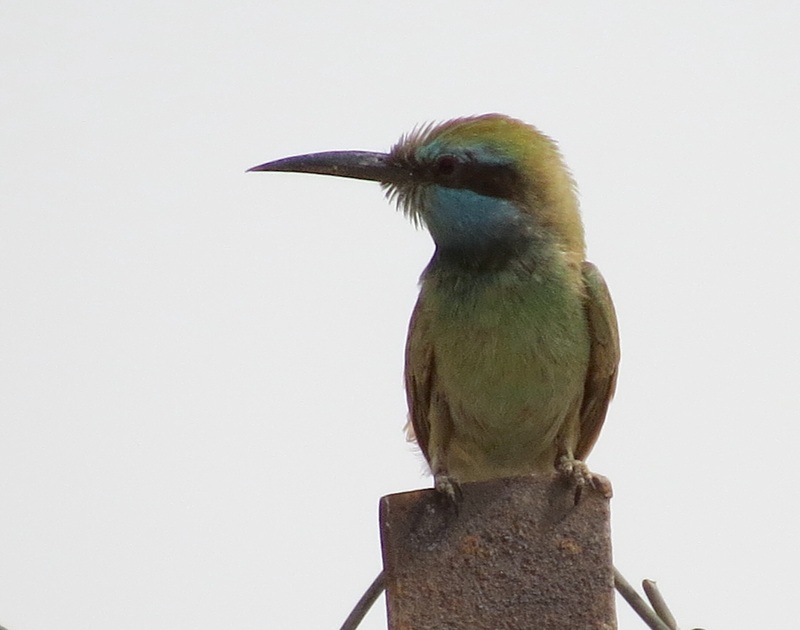 This entry was posted in Birds, Israel and tagged Eilat, IBRCE, Israel, Little Green Bee-Eater, Noam Weiss. Bookmark the permalink. Great videos, what a place! Was that Berny the Bald Eagle in the video? What a neat place. The little Bee-Eaters are so cute. It’s a wonderful sanctuary – such a special place! Ahhh, so beautiful and lovely! Thank you for the video, Bj!! I’m happy that you enjoyed this post, Amy. I feel so fortunate to have been able to spend time there. Thanks for your shared enthusiasm, AB! I’m so happy to be helping to influence you to take a birding trip to Israel!! 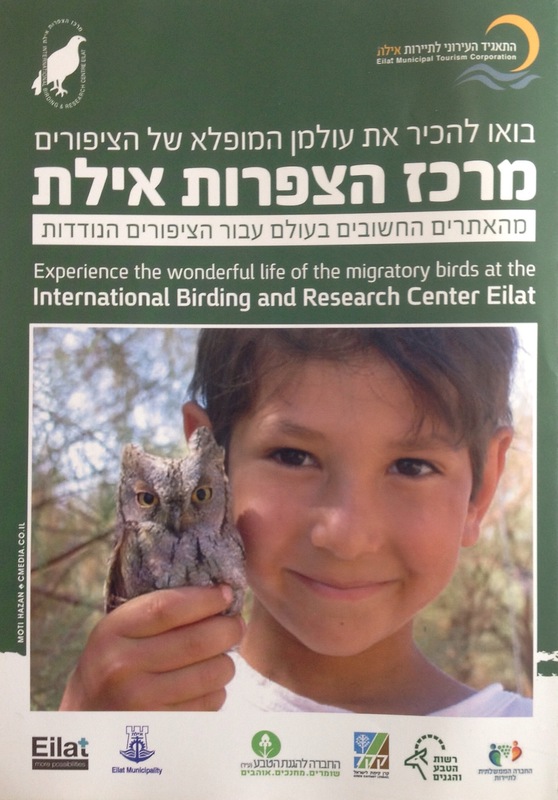 😀 The IBRCE in Eilat has a wonderful Birding Festival in March which I’ll post more info about soon. I too can feel your excitement. You had a wonderful adventure there and it was nice to be with the director you met while he was in FL. I would have enjoyed the visit too but the country might scare me a bit with all the uncertainty in the region. I wanted to go to Israel many year ago and should have then. Thanks, Donna! It is a very special place and I’ll be posting more about my visit very soon. I hope you consider making a trip sometime in the future. I have children and grandchildren who live here, so I try to come twice a year. 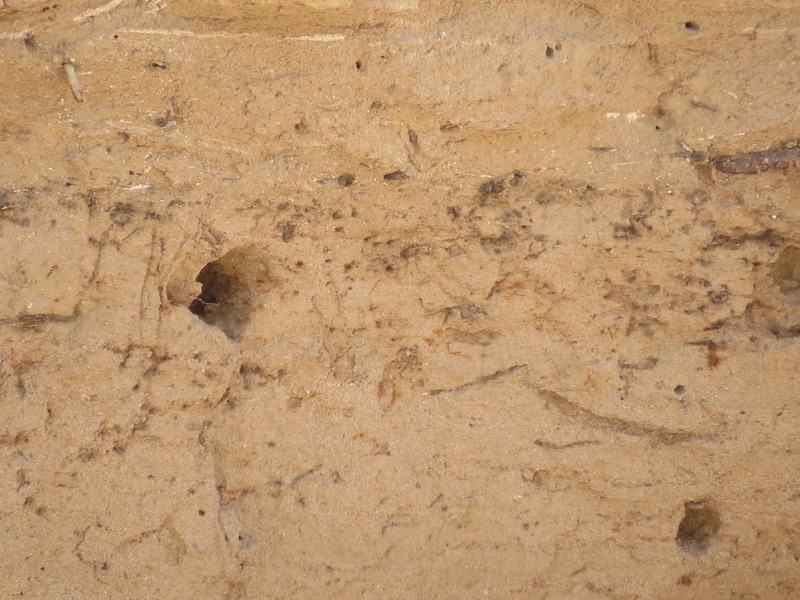 In addition to the great birding and other natural areas, there is such amazing history here! Wow … what an amazing place … Noam seems like a top bloke as well, so passionate and committed in how he describes that young birds solo journey thus far … migratory stop off points are so important to these birds but they give us the perfect opportunity to watch them and more importantly study them also … Top marks to Noam and his team and what a place to visit you must have been chuffed to bits seeing so many different birds … I’ll look forward to your next posts from this wonderful place. You are so right, Marco. It was really an inspiration to visit and to learn the story of this place, and the dedication of the team who work there. I’ll be posting more in the next day or two. How wonderful for you! This looks like a birder’s paradise. It really is a birder’s paradise, and so informative and inspiring! Have a great week. Thank you for including my post and sharing it with others – I will be sure to visit. Thank you so much Carol and every one who wrote here. It’s Noam from Eilat. You are all very welcomed to come and visit our bird sanctuary in Eilat. It will be a small payback for your nice hospitality to us in Florida. I wish I could come back and visit there one day. Your birds and community are just gorgeous. Thank you for your message to all, Noam. It’s so wonderful to hear from you! After my visit to your center, I also spread the word on my Facebook page about your fantastic work. We will definitely work on a plan to try to get you back here to South Florida. Have a beautiful summer~!